Steven (Chicagoland, United States) on 24 February 2014 in Landscape & Rural and Portfolio. 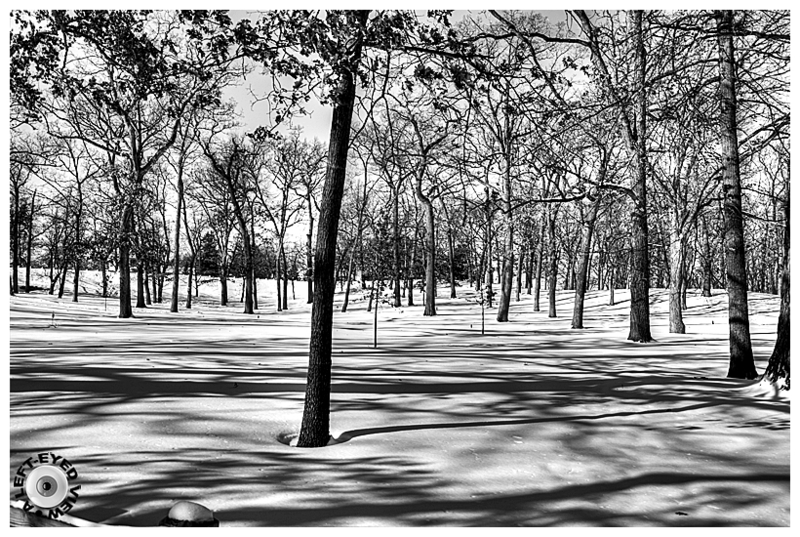 Shadows from nearby oak trees stretch over the surrounding snow-covered grounds of Bowen Park in Waukegan, Illinois. Beautiful treatment - a quite surreal shadowy landscape. The presentation adds life to all the stillness there - lovely shot ! really strong contrasts, and i think, it only works in that way! superb! Superbe ce jeu d'ombres, magnifique cliché. Lovely B&W, it's been rare to have enough sunshine to cast a shadow. very attractive and stark winter image !!! So well titled ... love the implied motion! The pattern of the light and shadows is gorgeous! The alternation of dark and clear shades makes for an excellent visual. Beautiful graphics and play with light & shadows on the ground. Very beautiful landscape of trees and intriguing shadows! Awesome photo! wonderful monochrome. this is a perfect scene for BW. A wonderful winter scene with a splendid play of light and shadows ... Excellent in b/w !!! Gorgeous b&w! A beautiful winter scene. The shadows are lovely! Very nice study in light and shadow.